Photo: "queenstreet_artist" by blogTO Flickr pooler Pleuntje. A Toronto man scooped Ontario's single largest lottery winning - $37million. He won't be single and living in a rooming house for long, but will continue to play Chess. A woman with 30kg of cocaine in her luggage is being called the biggest drug mule ever caught at Pearson airport. Her five-year old son was her travelling companion. Ironically, the apartment building with the most number of issued maintenance work orders in Toronto is property of the City of Toronto. A botched mid-day jewellery heist led to a gun battle between the robber and police, and it happened in a schoolyard. The suspect then carjacked a van and crashed it before being apprehended. Rogers Media wants to buy five CityTV stations (Toronto, Winnipeg, Edmonton, Calgary, and Vancouver) ensuring that Rogers will be even more "everywhere". 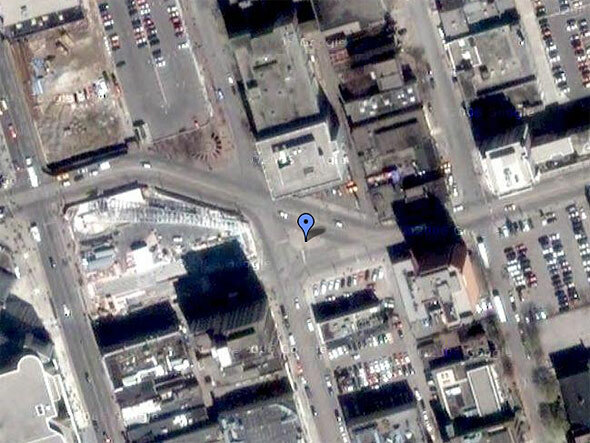 Yesterday's answer: 99 Sudbury St.